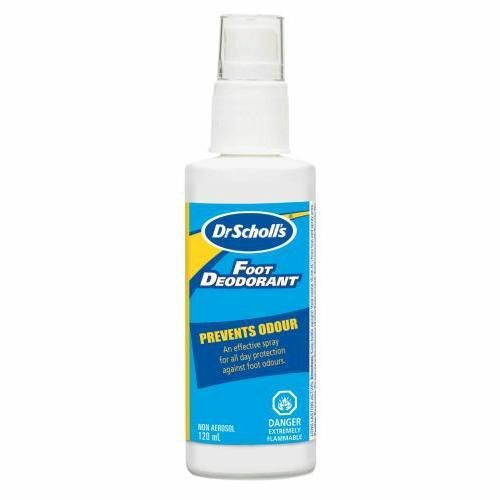 Dr. Scholl’s® Foot Deodorant Non Aerosol is an effective spray for all day protection against foot odours. It has a long-lasting action and it is non aerosol. ®/™ Trademarks of Schering-Plough Canada Inc.
© 2013 Schering-Plough Canada Inc., a subsidiary of Merck & Co., Inc. All rights reserved.